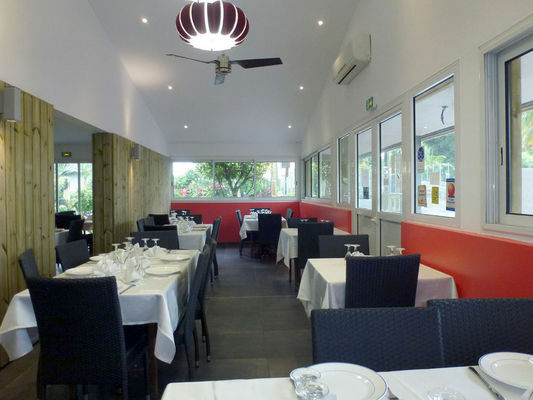 La Marmite du Pêcheur is a restaurant in Saint-Philippe at the heart of the Sud Sauvage (Wild South). Its choice of local and European cuisine is served in traditional Creole fashion: shared pot with rice presented in a basket, on banana leaves. Specialities: chicken cari, pork and heart of palm cari, goldfish cari and octopus cari. Listed as ""Restaurant de Tourisme"" . Open every lunchtime from 11:30 a.m. to 2:30 p.m. Closed on Wednesday. Reservation advised on Sundays. Catering service for receptions and picnics (delivery throughout the Sud Sauvage (Wild South)). 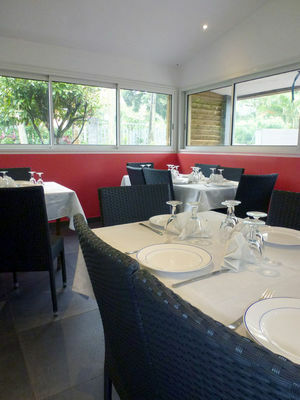 Restaurant labelled ""Maître Restaurateur"". Environment / Access : From Saint-Pierre, drive to Saint-Philippe. 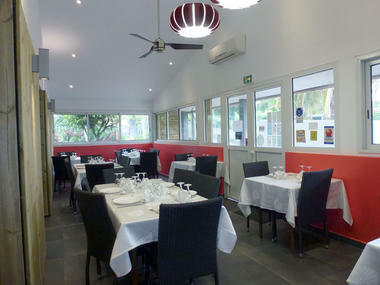 The restaurant is located 2 km after Saint-Philippe Town Hall. Coming from the east, drive for 8 km after the lava flow to get to the restaurant.